Biotechnologies Inc. European quality award winner, manufacturers of laboratory equipment, scientific equipment and research equipment is a leading exporter of laboratory equipment, scientific equipment and laboratory equipment around the globe. Bio Gene lab equipment, scientific equipment and laboratory equiment have credited with CE. Bio Gene offers Portable medical suction machine Manual primary intended for use in emergency medical services to aspirate fluids, secretions foreign material from patient air ways. Biotechnologies Inc is one of popular manufacturer, exporter & supplier in Fermenter production - Bio-Ferm Glass Fermenter, Bio-Ferm Insitu Fermenter all around the world. Autoclaves sterilizers command respect due to the capabilities to produce sterile product under the FDA WHO directives. Industrial Hospital medical waste sterilizers, horizontal or vertical with hinged or sliding doors with radial locking. Vertical Autoclaves with high vacuum high-pressure cycles deactivate virus, bacteria, micro organisms, spores much faster due to the dedicated sterilisation cycles specially designed for autoclaving and sterlization. Bio Gene also provides Retort Autoclaves with cooling system. BioGene Growth Chambers are the showcase of engineering capabilities to precisely signal The GAP detection with thermal interference and the spectrum composition of photon energy with humidity, modulating conducively to implant foreign Genes in Plant Growth Chambers or grow seeds and tissues or Insect in Growth Chambers for the entomology. Multitasking Growth chambers with wide Spectrum of applications including stability, humidity harmonisation under the ICH guidelines for Aeronautics, space, defence research, auto mobile engineering agriculture etc. Price worthy and satisfied repeat users adds confidence to Biogene Growth Chambers. BioGene Walk in Cold Room, Cold Storage, Freezer, Blast Freezer, Deep Freezer�s are the most demanded product from Bio Gene range they are manufactured per users demand. pharma, medicine, fine chemical, food, the use and application is ever growing. Laboratory Incubators from BioGene find place in many dedicated applications, whether microbial incubator for gene expression studies or production of recombinant proteins bacterial incubator for screening bacteria, BOD incubator or CO2 incubators with Bimetallic sensors programmable controls and door or top panel mounted with gravity or mechanical conviction for food, beverages testing. BioGene incubators are one of the best solution as they confirm to GMP, ISO, CE & EN directives as well. 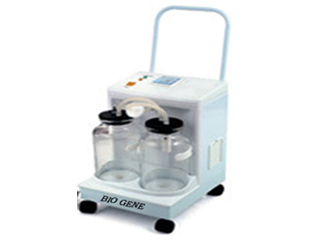 Bio Gene Shaker with Incubator and or Refrigeration is the most versatile machine to enhance the capability of Research, Production to Stimulation the GAP signals from the thermodynamics of kinetic and dynamic energy when the fusion between the Intracellular kinematics is required in the regeneration of cells, detection of Viruses, amplification of the calories, Detection of cellular signals to gain more culture production by the dedicated precision thermal conductivity using system for thermal expansion of Kinetic Heat to generate desired operation cycles Bio gene Shaker Incubators are the solution even in Stackable, top loading, front loading with flexibility to add CO2, Blue Green Lights. Our shakers are price competitive, versatile and rugged to run in severe conditions.